Karlštejn State Castle is a national cultural monument of primary significance and a symbol of the Czech State alongside Prague Castle and the Crown Jewels. The series of 129 panel paintings by Master Theodoric was created as a part of the decoration of the Chapel of the Holy Rood in the 1360s, depicting Saints, Prophets, Rulers, and Church Fathers. 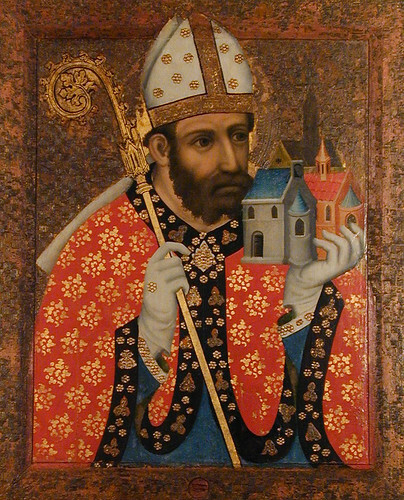 It is the most numerous collection of medieval panel paintings known in Europe that is preserved to this day. Over time, it has been subject to enormous climatic stress. Mass tourism was an additional damaging factor. The project involved thorough investigation into the techniques of Theodoric’s painting and precise specification of the causes of damage; restoration; re-installation of a climate control system in the Chapel; limitation of visitors to the Chapel; subsequent continuous care by a specialist restoration worker.